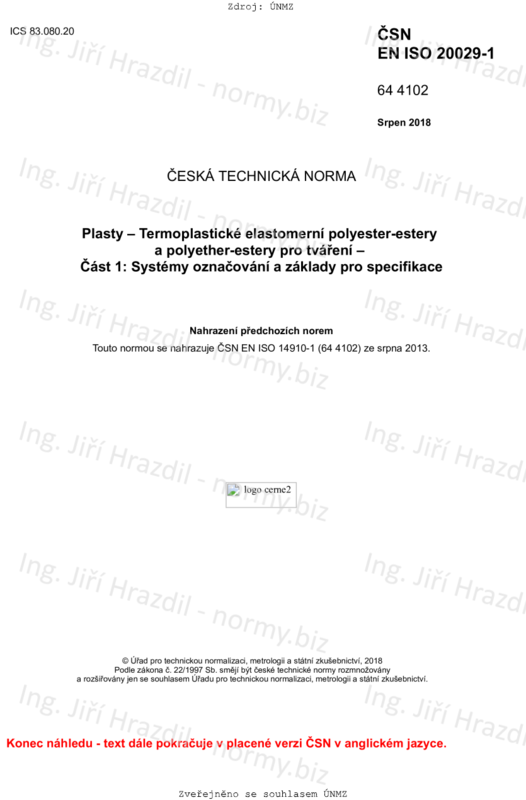 This document establishes a system of designation for thermoplastic polyester/ester and polyether/ester elastomers, which may be used as the basis for specifications. This document is applicable to all thermoplastic polyester/ester and polyether/ester elastomers. It applies to materials ready for normal use in the form of powder, granules or pellets, unmodified or modified by colourants, fillers or other additives. It is not intended to imply that materials having the same designation give necessarily the same performance. This document does not provide engineering data, performance data or data on processing conditions which may be required to specify a material. If such additional properties are required, they are intended to be determined in accordance with the test methods specified in ISO 20029-2, if suitable. In order to designate a thermoplastic polyester/ester or polyether/ester elastomer to meet particular specifications, the requirements are given in data block 5 .